Explore the most popular trails in Faver-Dykes State Park with hand-curated trail maps and driving directions as well as detailed reviews and photos from hikers, campers and nature lovers like you. Noted for its pristine condition, this tranquil park borders Pellicer Creek as it winds along Florida's east coast highways down to the Matanzas River. Pellicer Creek is a popular site for birding with more than one hundred bird species seen during spring and fall migrations. Songbirds, including the colorful wood warblers, along with eagles and falcons, return to nest at the park each year. Wading birds, such as egrets, wood storks, white ibis, and herons, feed in the tidal marshes and creeks. This peaceful park is also home to deer, turkeys, hawks, bobcats, and river otters. Fishing, picnicking, and nature walks are popular activities. 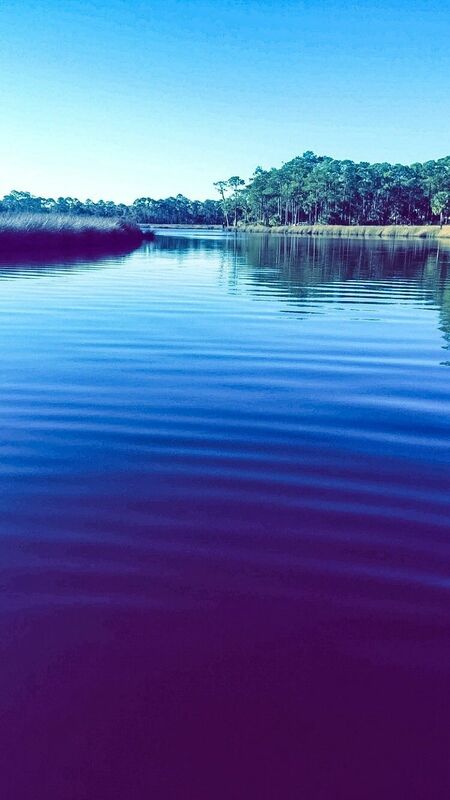 Pellicer Creek is a designated state canoe trail and visitors can rent canoes at the park. A full-facility campground is available for overnight stays. Located 15 miles south of St. Augustine near the intersection of I-95 and U.S. 1.
beautiful, wide trail. nice walk. not paved, but could bike here.